Late last year, CURA sent out a survey to all clients to ask for ideas for our first social outing. And as suggested by many clients, we had our first bus trip to Burswood. 13 clients from all corners of Perth joined us and were assisted by 3 of our support workers. 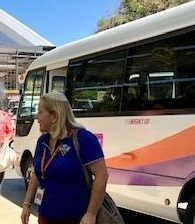 Bus driver Jim from Retirees WA picked us up at the two meeting points and made sure we arrived safely at Burswood. 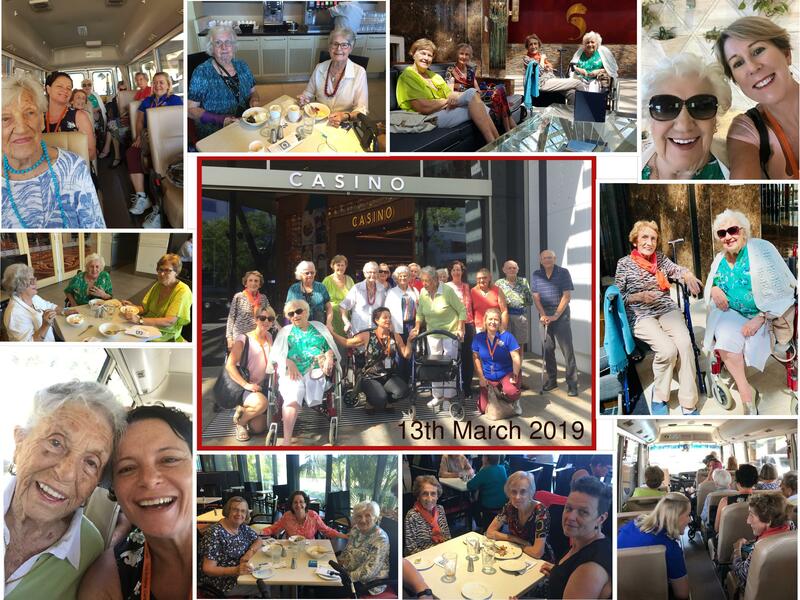 Some of our clients went to have a nice coffee together at one of the lounge areas and others went for a stroll around the premises. After some time, we all met up again for the buffet lunch at Carvers Restaurant. Especially here it was fantastic to see people catching up with old friends and happily chatting to other CURA clients, whom they met for the first time. With our bellies filled, we headed back towards the bus. Our trip home turned into a small adventure as the back door of the bus was stuck and not everyone could get onto the bus. After some phone calls we had alternative transport arranged and everybody got home safely. Everyone enjoyed this first outing and we are looking forward to the next one!